Tell us about how you got started, where do you work and how long have you worked there? I think I was inspired in the same way many other technicians are: I was lucky to meet a master of the craft when I was younger. 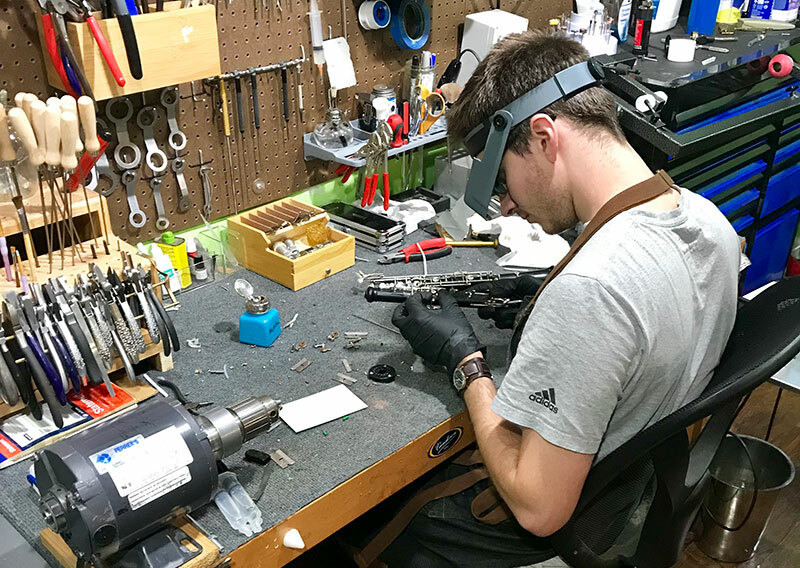 I’ve been a bit of a tinkerer for as long as I can remember, and I started messing with my own horn not long after I began playing the saxophone. As I continued playing saxophone through high school, I eventually needed someone who really knew what they were doing to look at my horn. That’s how I ended up meeting Judi Dietz (Judi’s Woodwind Shop) in Leavenworth, KS. 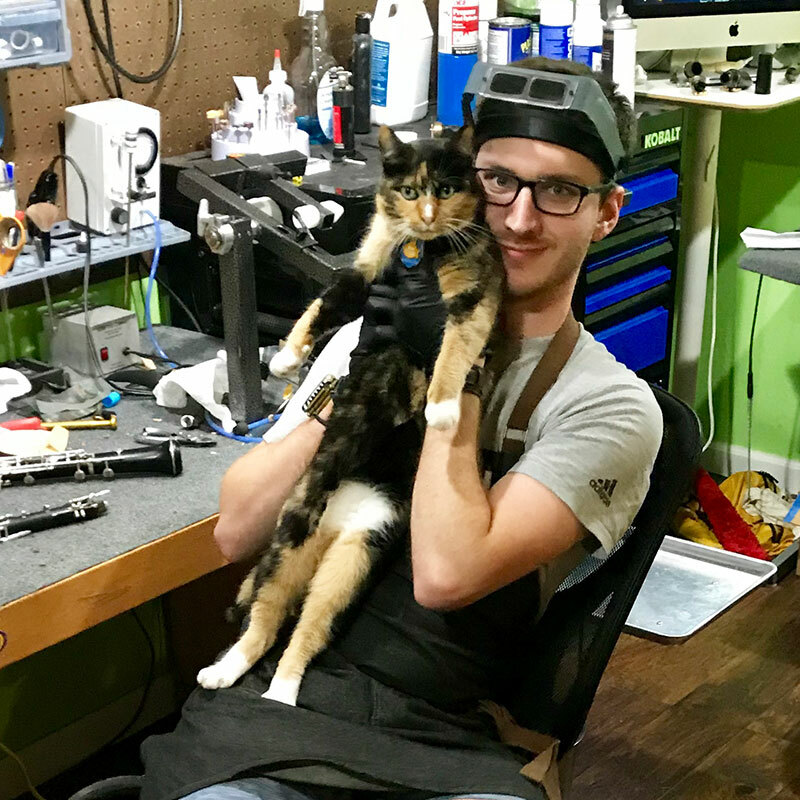 I was excited to watch her work on my saxophone, and after the visit, I sent her an email asking if I could come help out around the shop and learn more. By some stroke of luck, she obliged and became a mentor to me. 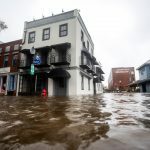 I continued visiting and helping out at Judi’s into my freshman year of college, and I began accumulating the tools and knowledge to pursue my own repair projects. 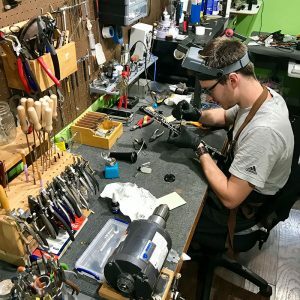 I built a small workspace in my bedroom, and before I knew it people were asking if I’d work on their horns…so that ended up being the beginning of my own small repair business. I’m still a one-man operation, but this might change in the future. Having just completed my BM in saxophone performance at UMKC under Zach Shemon (to whom I owe a lot of gratitude for his support), I recently moved to a new house in Kansas City, Missouri where my new shop is currently based. By word of mouth alone, the demand for my work has been steadily growing for the past five or six years, and now that I can devote more of my time to my work, I’m finally beginning to take my shop to the next level. What do you specialize in? What do you hope to achieve in the next few years in this specialty? 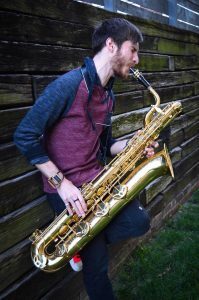 I specialize in all woodwinds, but most of my clients are saxophonists and clarinetists because these are the instruments I am most proficient in as a player. During my saxophone performance degree, I also decided to pursue the clarinet as a secondary instrument. I was extremely fortunate to study under Dr. Jane Carl and play clarinets in both of the wind bands at UMKC. My repair work is fueled by my passion for these instruments as a musician, and I think that’s a big reason I get to do work for so many devoted players. I really enjoy working on flutes, oboes, and bassoons as well, and I do decent work on these instruments. However, one goal I have is to reach a higher level of proficiency as a player on these instruments. This means taking lessons, practicing, and all the while considering what improvements I can make to whatever instrument is in my hands. It’s all about putting myself in my clients’ shoes. If I develop a keen sensitivity as a player, I’ll become aware of new things I could improve, and I’ll be able to engage with my clients in a more meaningful way. Which MusicMedic pads do you use and why? I enjoy working with the RooPads for sax. Every horn I’ve overhauled with them has been a pleasure to play, and they always seem to hold up well—even on horns that haven’t been in the shop for over a year. With these pads, I think it’s helpful to iron the leather by spraying the pad with a little water and gently going over the leather with a warm pad slick. This seems to help the horn play with a more responsive and resonant sound, and it also seems to help the pad be more stable and resistant to environmental changes. I also enjoy using the RooPad Extreme pads for the palm keys and octave vents because they are very resistant to wear due to exposure to moisture, and they don’t stick nearly as much as a traditional sax pad. Closed pads near the top of the horn tend to wear out more quickly than pads in other areas, but the RooPad Extremes have proven to be really resilient. I’ve recently begun to explore the RooPads for clarinet as well, and so far I’m liking them! They’re flat and stable, yet appropriately supple. As with the sax pads, I like to iron the leather. And I always appreciate the quick shipping! What do you want the world to know about your work? I’d like the world know that I understand and value the needs of a musician because my work is built on a strong foundation as an instrumentalist. Part of what I love about the way I operate is that each client gets individualized service and attention, and this is the best way for me to provide musicians with detailed, honest, and all-around great work. I’m always pushing myself to learn and do my job better. If you could pass on some tips or knowledge to other techs, what would that be? You can only build a good reputation one instrument at a time. As more people started getting in touch with me asking me to work on their horns, I was very excited. However, in that excitement, I accepted work at a faster rate than I could complete it, and I ran into trouble. I ended up with a pile of horns that overwhelmed me, and several of them were big projects that were casually left with me with the owner telling me, “Whenever you have time, no rush”. Before I knew it, I had projects that had been with me for years and I started disappointing people, which was a horrible feeling. So, my advice is to learn how to schedule in a way that allows instruments to leave the shop at the same rate they’re coming in. I’ve found that it’s best to give myself a lot more time than I think I’ll need whenever I can—the last thing I want to do is put out rushed work. In summation, never compromise the quality of your work, be honest, and learn how to set realistic deadlines for yourself and meet them. Oh, and don’t forget to leave yourself time to have a life outside of work. I do my best work when I’m happy.